Two of our staples when it comes to menu planning is tuna steak with a lemon aioli sauce and sautéed garlic-herb green beans. They make a great pair for a meal. I usually add some carrots as well as a second veggie. I believe the tuna steak recipe came from Southern Living, but as always I can’t swear to it and I’ve changed up the original recipe I found. 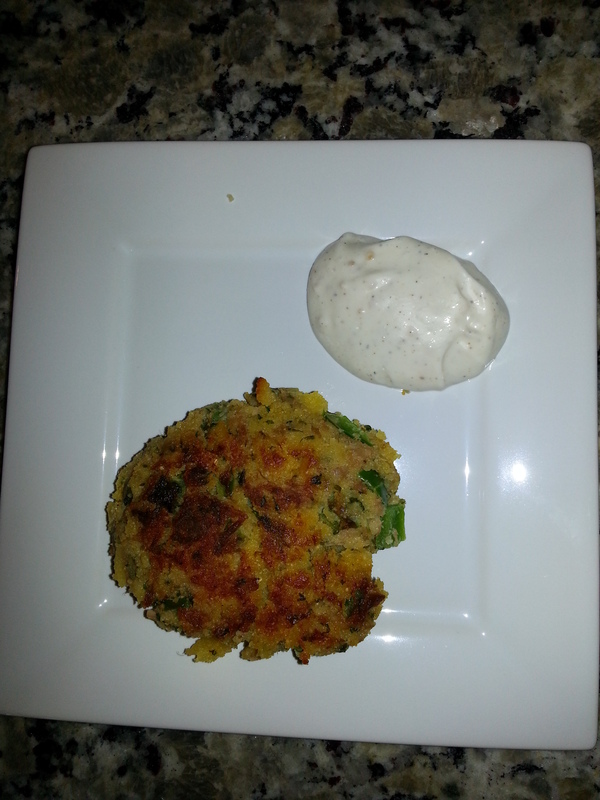 Tuna Steak and Lemon Aioli Sauce…. While cornbread is baking mix your lemon aioli sauce ingredients together and chill in fridge until the tuna steaks are done and ready to eat. For the tuna steak, stir together in a medium bowl: mayo, bell pepper, eggs, parsley, Worcestershire sauce, and tuna. Set aside. Crumble cornbread. I typically stick the cornbread in a food processor to break up real good. Add crumbled cornbread to tuna mix and stir real good. Once mixed, form patties as big or small as you like. I typically get 4 tuna patties about 3-4 inches in diameter and about an inch thick. Heat oil and butter in skillet or pan. Once oil and butter is heated, add tuna steaks. Cook on each side for about 3-4 minutes or until golden brown. Place a paper towel on a plate. Once tuna steaks are cooked place them on the paper towel to drain some of the oil. Then they’re ready to eat. Be sure to dip your tuna steak in the lemon aioli sauce. They are divine!! Cut or snap ends of green beans off. Add green beans to boiling water for 1-2 minutes max. Immediately drain them and run cold water over them to stop the cooking process. Add butter and olive oil to skillet or pan. Once heated, add chopped shallots. Sauté for about 5 minutes. 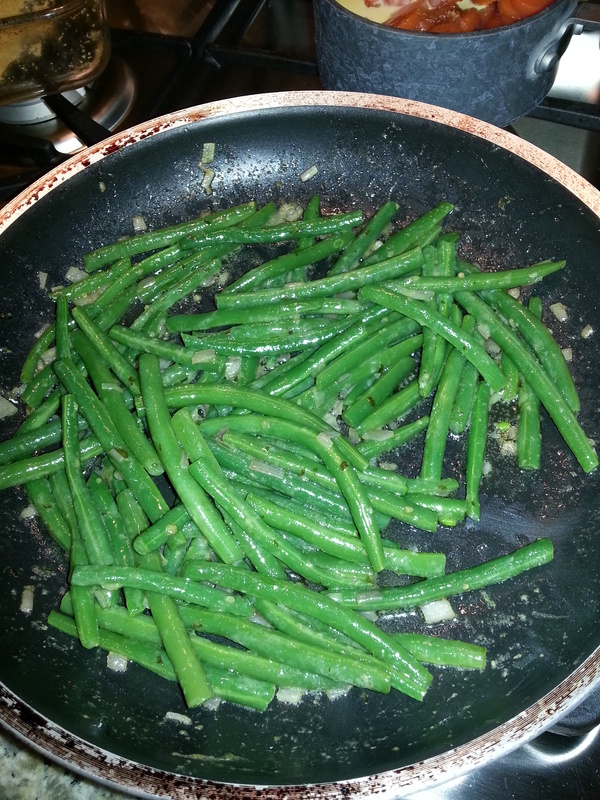 Add green beans to skillet or pan and toss for about 5-7 minutes. *You can also just use regular butter in place of garlic-herb butter and add some garlic powder or other seasoning. The garlic herb butter from Land O’Lakes is the best in our opinion though.